Even having a new high-quality iPhone or iPad doesn't mean that you shouldn't back it up. There are many different scenarios of what can happen to your device, so it is really important to store your information somewhere else. It may perform nice but it can be lost or stolen, or your information can be deleted while upgrading, or some other accident may take place. Today, I'll tell you how to create backups for your iPhone, iPod or iPad without using iCloud for that purpose. It's always better to have a couple of copies of the most important data, two or three is more than enough. Many people use iCloud or iTunes for storing their information. However, if you don't want to be tied to the Internet connection that is necessary for that options, you can keep your backups on Mac, MacBook or PC. This may include your mobile devices backups. There are also other handy options offered by third-party apps. They have automated features for files copying. For example, iXpand flash drive by SanDisk will cost you around $30-35, but it can be plugged into a mobile device as well as a computer. Anyway, before telling you how to do everything without iCloud's help, I want to tell you how to use it. Maybe you'll decide that this option is ideal for you. So, let's get to it first. 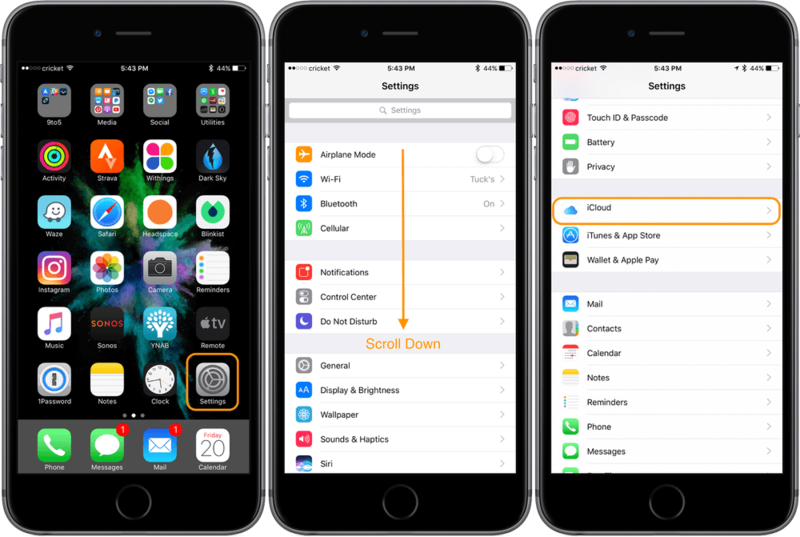 This option can be turned automatically on any iOS device, as this is a built-in option. Everyone who uses a device on this operating system can save the info on the iCloud drive. With this feature, your device sends data to iCloud from every device connected to it and it is stored on the Apple servers. You have the access to it via icloud.com or from an Apple device connected to your iCloud. All you have to do is to log in to your account. 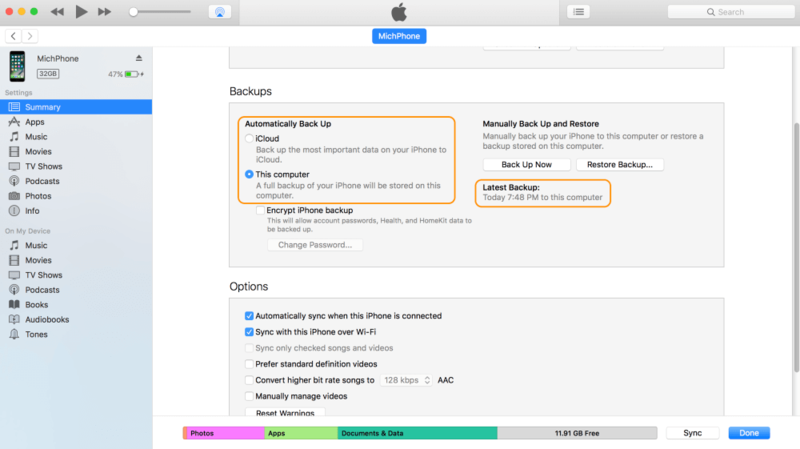 Here is how to turn on automatic backup on a mobile Apple device. Once you turn it on, it will automatically copy your information to iCloud. Not a great headache, do you agree? Connect to a Wi-Fi network, locate and choose 'Settings' from your mobile device. Go down a bit, find 'iCloud' and enter this menu by tapping on it. Scroll down once more and find the 'Backup' line. Tap on it. You will see the same screen as I showed above. Look at the toggle near the 'iCloud backup' line. Turn it on, if it's not green yet. There is also an opportunity to start backing up manually below. Tap 'Back up now' and the screen will show your last backup. Note, that only successful backups are listed there. 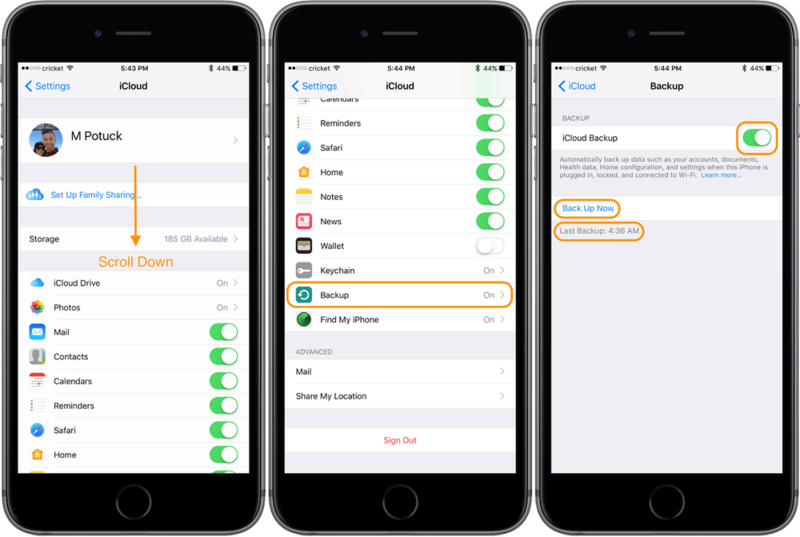 After you have turned on iCloud backup, your device will do everything automatically every time you plug in a charger or connect to a wireless network with the locked screen. You can lock it by pressing the power button on the right side of your iPhone 6 or later. If you use iPhone 5 or older, iPod or iPad, use the button on the top. After you have set everything up, monitor your iCloud storage and be careful in order not to run out of free space. Apple gives only 5Gb free of charge. This often is not enough for all the information modern people need to store. However, they offer 50Gb for aroun one dollar per month. This will cost you just $12 per year, so you can seriously think of buying paid storage on iCloud. It certainly worth your confidence in the fact that your information is safe. Head to 'Settings', go to 'iCloud' and select 'Storage'. You should see the line 'Change storage plan'. After you tap on it, your current iCloud plan will appear, and several upgrade options too. I can confess that 50Gb is enough for the majority of Apple users, though you can choose a larger plan in case you have a great media collection. I bet some Instagram photographers need a lot of space to store their thousands of photos. This way will suit you in case you want to save the data from your mobile Apple devices on your Mac, MacBook or PC. Use iTunes to do that. 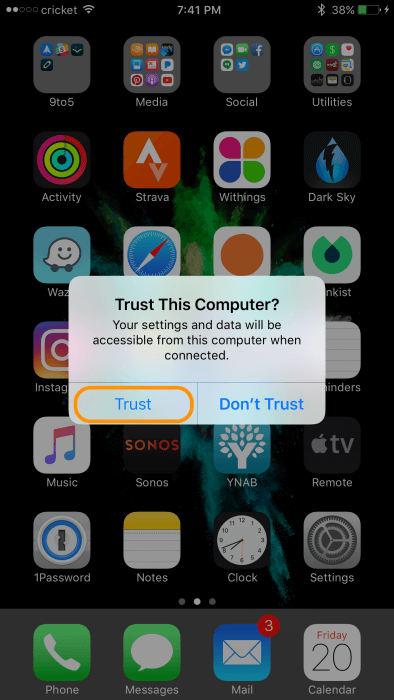 If you have never synchronized or backed up your devices via iTunes, you should tell your computer to trust this device. 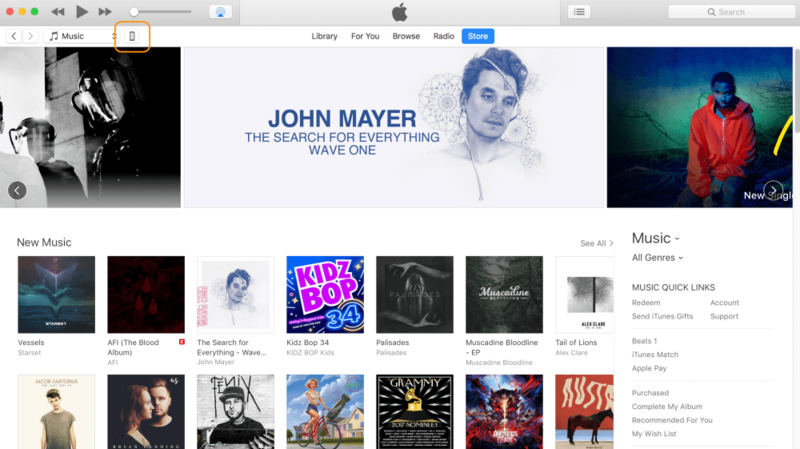 iTunes usually launches automatically. If its window didn't open, launch it manually. Run Finder, open 'Applications' and click on iTunes. Select the device icon at the left top like it is shown on the picture above. In exact cases, you should update the iTunes app to back up correctly. Select 'iTunes' and choose 'Check for updates'. After you got to the 'Summary' window that is shown on the image above, you can choose to Automatically synchronize while an iPhone is connected or to Sync while an iPhone is connected to Wi-Fi. Click the 'Apply' button to save the changes. If you want to back up manually, select the 'Back up now' option. 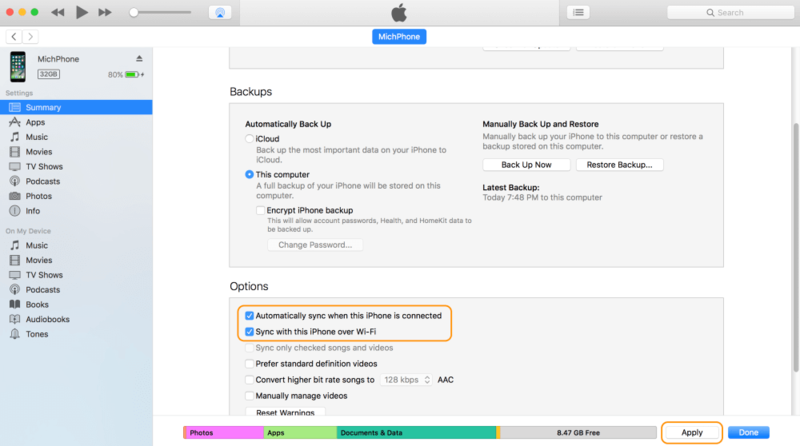 If you chose 'This computer' for an automatic back up, your device will send files to the computer any time you connect iPhone to it. As an alternative, you can select iCloud as the main option while using iTunes from time to time when it is necessary. When your backup to the iTunes app will be complete, a timestamp will appear. - "I have bought more storage, but my device is still full". 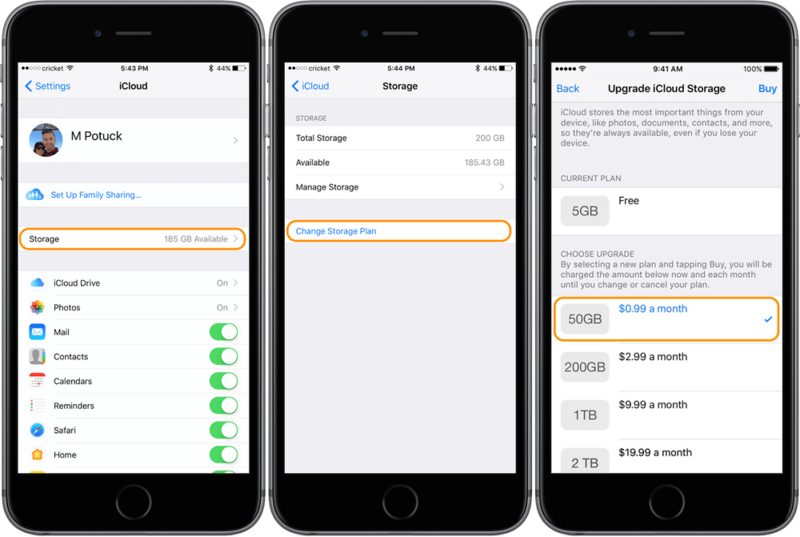 The option of buying more storage works only for iCloud where backups are saved. If you see 'Storage amount full', it means that there is a lack of free space on your device itself. To see what is using the most space on your iPhone and iPad, visit 'Settings', 'General', 'Storage & iCloud usage', then go to 'Storage' and choose 'Manage storage'. You may remove files you don't need or copy the files to your Mac, and them delete them from the iPhone permanently. - "I've run out of the iCloud storage". I have described in the article how to enlarge your iCloud storage plan. Alternatively, you may get rid of your old backups and leave only new ones. Go to 'Settings', 'General', 'Storage & iCloud usage', head to 'iCloud', 'Manage storage', 'Backups'. Visit all the devices that are not named as 'This iPhone' or 'This iPad'. Think if you need it, and delete the backups you won't ever need. - "I have much free storage on my iPhone and in iCloud, but backups still don't work". Sometimes iCloud has bugs and you may sign out of it and sign in once again. It may help in the majority of times. Head to 'Settings', 'iCloud', 'Sign out'. You can choose to keep iCloud notes on your iPhone in order not to remove them. They will appear again after you sign in to iCloud. Sign in and start a backup.